Kim Kardashian posed in a leopard-print dress for a photoshoot that may be her raunchiest ever. In one of the photos, the reality TV star poses in a skintight leopard-print dress that emphasizes every curve of her voluptuous figure, reports the Daily Mail. In the second, the 29-year-old is draped across a blue chair, wearing a very low-cut lace dress that she pulls up around her thighs. And it looks like she was perfectly comfortable with Terry Richardson, playfully posing for pictures with him behind the scenes. Kim posted all the pictures of her website and wrote, "I did a fab photo shoot with the amazing Terry Richardson at Chateau Marmont in LA. "What do you think of these pics? I'm loving the leopard print and lace!" 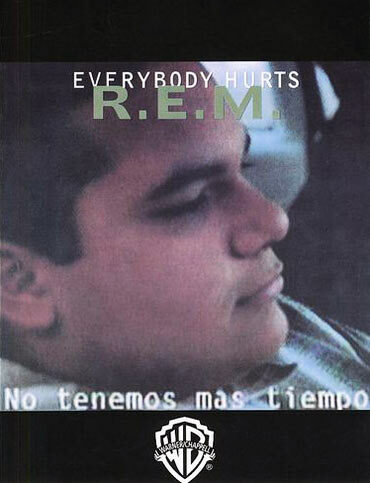 REM's Everybody Hurts is the song most likely to make men cry, according to a new poll. The teary ballad sung by Michael Stipe and used as a Haiti earthquake charity single earlier this year became the UK's fastest-selling charity record of the 21st century. Eric Clapton's 1992 ballad Tears in Heaven -- written by the devastated star following the death of his four-year-old son Conor -- landed the second spot in the survey of more than 1,700 people conducted by royalty collection society PRS for Music. Leonard Cohen's classic ballad Hallelujah completed the top three. 'From this chart, it is clear that a well-written tear-jerker is one that people can relate to and empathise with,' the Sun quoted Chairman Ellis Rich as saying. 'It is this lyrical connection that can reach deep down emotionally and move even the strongest of men,' Rich added. Lindsay Lohan has voluntarily checked into a substance abuse rehab program, confirms a source. The actress, 24, who most recently spent 23 days in a live-in program at UCLA Medical Center, planned to "step up her treatment" and "do more" than previously expected, reports People Magazine. The name of the new program wasn't immediately known, although it's in Southern California, according to the source. Lohan was released from a Lynwood, Calif., jail September 24 after winning an appeal to be granted bail following a failed drug test. She is now wearing an alcohol-detecting ankle bracelet.